In the Beginning... - "Down At Ye Olde Comix Shoppe"
3- Gary: Uberman? 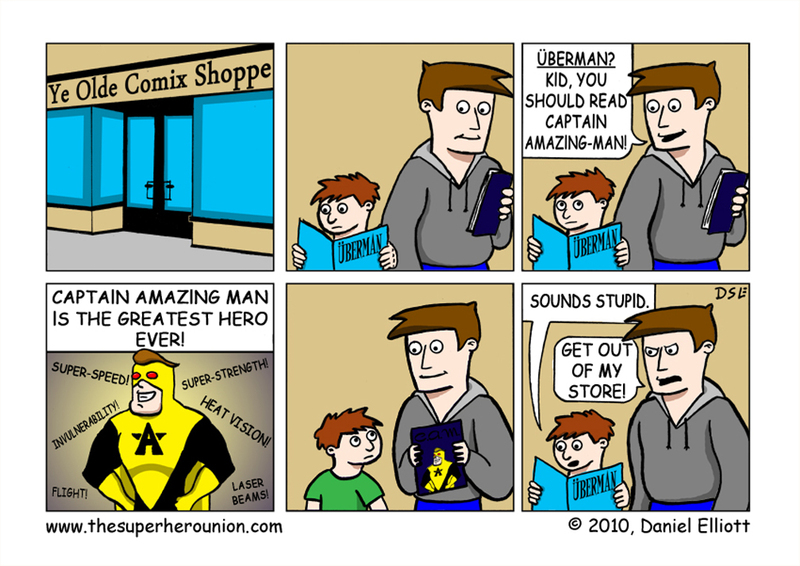 Kid you should be reading Captain Amazing-Man! Gary: Captain Amazing-Man is the greatest hero ever! Kid: Sounds stupid. Gary: Get out of my store!